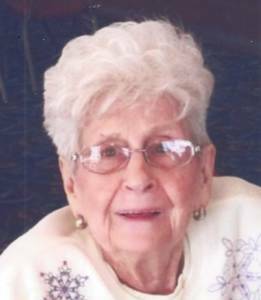 Dorothy Irene Wilczewski passed away June 7, at age 93. Loving wife of the late Edward for 62 years. Cherished mother of Dennis (Linda), Chris (Frank) Kummer, Stephen (Kelly) Judith, Cindy (Andrew) Rable. Grandmother of Matthew, Michael, Cassi, Bobby, Andy, Beth, Stephen, Spencer, Zach, and Hannah. Great grandmother of Max, Logan, Mason, Aiden, Greyson, Chase, Maddi, Chloe, Lily, Jack, Emma, Evan, Ava, Owen, and Alex. Family will receive friends Sunday 6-9pm, with a Rosary at 7pm at Neely Turowski funeral home, 30200 5 Mile Rd. Livonia (between Middlebelt and Merriman). A Funeral Mass willl be held Monday, 10:30 am at St Colette Catholic Church, 17600 Newburgh Rd., Livonia. Instate at 10am until Mass begins. In lieu of flowers please make donations to Angela Hospice.